BHUMIKA industrial cleaning service uses the core six principles of Industrial cleaning, which are Quality, Safety, Cost, Delivery, Morale, and Environment. With our wide experience in providing industrial cleaning services with a full- time contract basis, maintaining of International Hygiene Standards of compliance like ISO, HACCP, OHSAS, GMP, 5S, HSE. We take pride in our trained and dedicated cleaner’s staff, having the skills of industrial cleaning. All of our industrial cleaning contracts are coupled with on-site supervision which meets customers’ requirements. 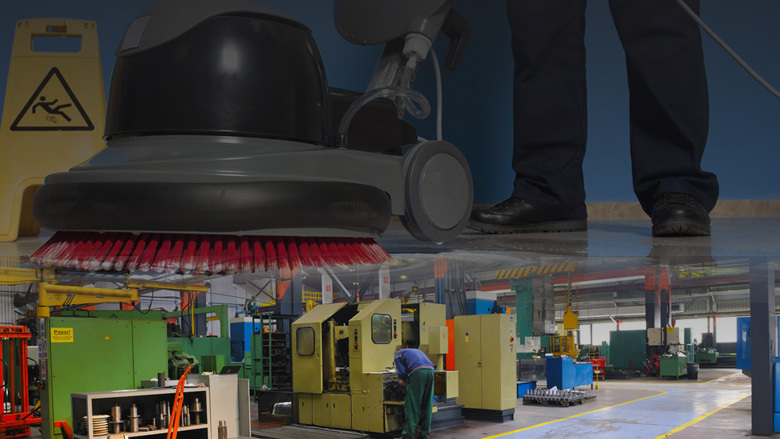 Customer’s needs regularly scheduled with cleaning of factory shop floors including production areas, sensitive manufacturing areas, and exterior cleans, as well as office space including washroom services, we restore entire work environment to a high level of cleanliness. We are also expertise in dealing with the after effects of fires, flood and disasters which are quickly and efficiently dealt. Our staff is trained in all aspects of health & safety and easily recognized with their badge & uniform and friendly attitude.